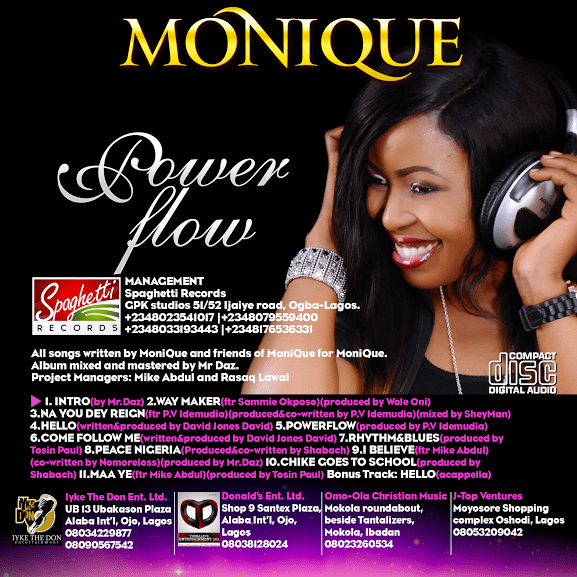 On Sunday the 2nd of November 2014, Spaghetti Record’s signee Monique released her sophomore album titled “Power Flow” with a concert at N.U.T Pavilion in Ikeja. There were several personalities and friends in attendance as Spaghetti Records, owned by Mike Abdul unveiled the “Power Flow” album by Monique. “Power Flow” as the name suggest is a spirit lifting album and so is the title track. 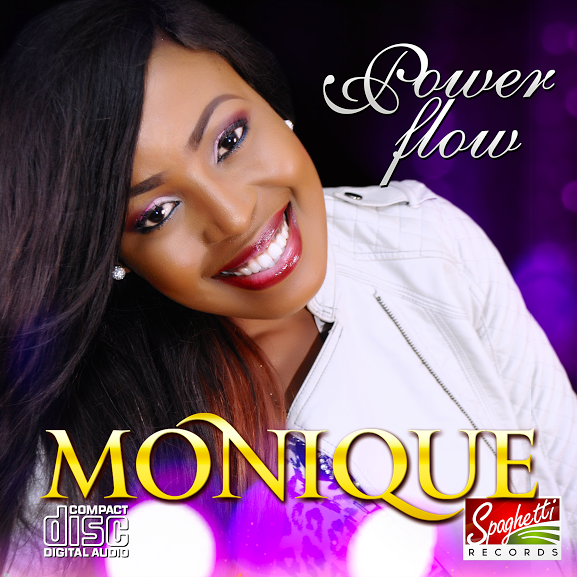 Monique has earlier released some singles off the album including “Eze Goes to School”, “Power Flow”, “Na You Dey Reign” and more. Album mixed and mastered by Mr Daz. Project Managers: Mike Abdul and Rasaq Lawal. GPK studios 51/52 Ijaiye road, Ogba-Lagos. Keep it up Bro, you really create when you write…….